It has come to our attention that an unknown person has taken a phone number that resembles that of a City of Racine phone number and contacted people across the U.S., using the City of Racine as a way to seem legitimate. He is not. It is a scam. 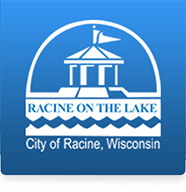 The phone line is disconnected, and it does not come from the City of Racine. We are sorry for any inconvenience caused. If you are expecting a call from the City of Racine, and have concerns about a call you received, please call 262-636-9101 to verify. Thank you!